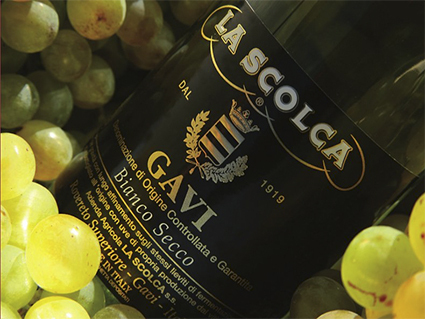 There is little dispute that La Scolca is the greatest and most celebrated producer of Gavi, and they are about to celebrate their 100th anniversary of ownership by the Soldati family - the proprietors to this day. Gavi is made from the grape Cortese. Although it is also occasionally found elsewhere in Italy (Bianco di Custoza for example), it is in Gavi that Cortese reaches its greatest heights. Superficially another in the large phalanx of 'neutral' Italian white varieties which tread edgily on the toes of blandness, Cortese is in fact rather more structured and delicious than this. It offers the crisp acidity that Italian food (especially olive oil and fish dishes) so badly craves, with a weight of white-fruit and floral flavour and some ginger and root vegetable structure underneath. 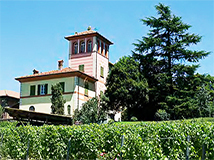 Technically, the DOCG (Denominazione di Origine Controllata e Garantita) is Cortese di Gavi. 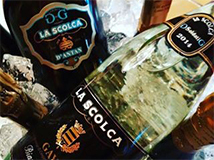 La Scolca was the first producer to realise the superiority of the vineyards from the heart of the commune of Gavi itself (rather as the 'Classico' subregions of Chianti and elsewhere), and their top wine has for many years been called Gavi dei Gavi. 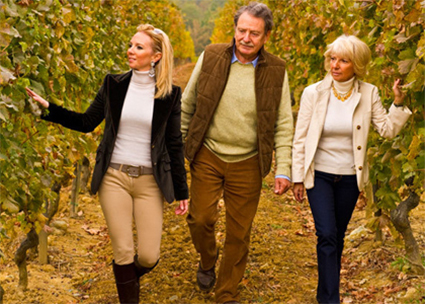 Where leaders lead, however, others follow, and a new separate DOCG was created for other producers who acknowledge this, 'Gavi di Gavi'. But that little 'e' is important - La Scolca were the first, and they remain the best. At Prowein this year, in the company of fifth generation Chiara Soldati, I was afforded the rare privilege of being able to taste the entire range of new release vintage, and some older wines, which demonstrated just how multi-dimensional Cortese can actually be.